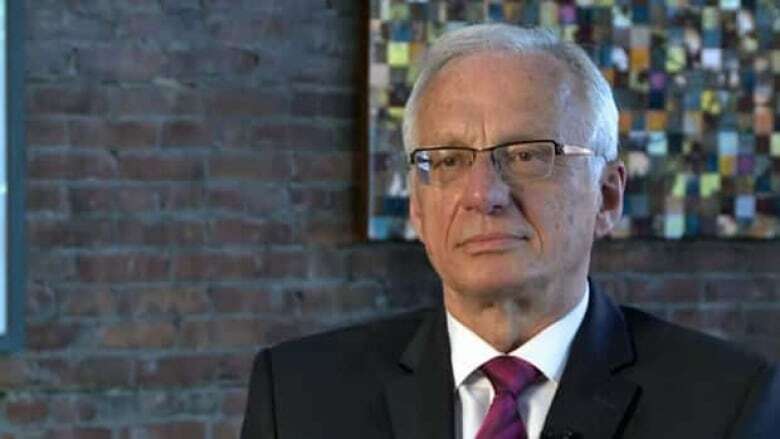 Hamilton Mayor Bob Bratina has landed himself in hot water on social media for an email he wrote trying to distance himself from Ward 4 Coun. Sam Merulla's position on a downtown casino. 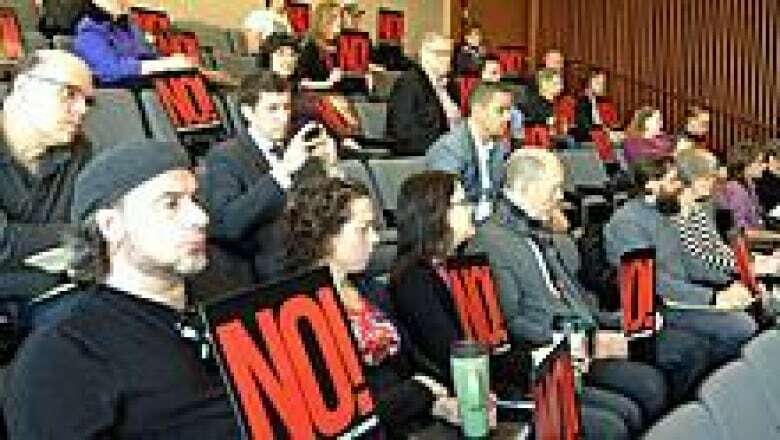 Apparently neither Mayor Bob Bratina nor Carmen's Group appreciates it when Coun. Sam Merulla compares the idea of a downtown casino to a "crack dealer." Now their reaction has caused a stir on social media. Merulla made the comments at a Dec. 13 meeting of Hamilton's gaming facility subcommittee. "My analogy [was] of the OLG being similar to a crack dealer, in that their business plan is predatory in nature, in that they're focusing in on going places where the people are marginalized, and therefore are being targeted," he told CBC Hamilton. Please read the material below. I hope to hear your comment before issuing a statement. Members of Council, It is my intention to offer a statement as requested in the attached email. I will do this on behalf of council, unless otherwise directed. The content will be "Councillor Merulla's comments are not reflective of the thoughts or opinions of the City of Hamilton, its staff, its councilors, or myself as Mayor." Please advise prior to 4:00 p.m. today at which time I will issue a statement, either on behalf of Council or just myself. Merulla says the bulk of the text from that email was lifted verbatim from another email sent by PJ Mercanti, president of Carmens group. Merulla says Mercanti has an interest in seeing a casino built in downtown Hamilton. You can read the full text of that email here. "I was threatened by the mayor that it would go public and it would be his statement or that of council's," Merulla said. But 4 p.m. came and went on Friday, and no statement was issued. "Obviously, he had a change of heart and has not followed up with a statement," Merulla said. Shortly aftwerwards, Merulla distributed the email chain to the public himself through social media. "The mayor was planning on lobbying verbatim on behalf of the attached email," Merulla said. "It's disturbing and unnerving at best." Opponents of the casino are using the letter as fuel for their campaign, and some have gone so far as to call for the mayor to resign as chair of the gaming facility proposal subcommittee. The mayor's office would not comment. Mercanti told CBC Hamilton he has no problem with Merulla's anti-casino stance, as he understands people will have different opinions on the issue. "What I do believe is problematic for the overall relationship between the city of Hamilton and the province of Ontario is that one of our local councilors likened the activities of a Crown corporation of the province to those of an illegal narcotics dealer," Mercanti said. Mercanti says Carmens is on record stating that it is in no position to bid on a gaming licence, as only organizations that have prior gaming experience are eligible to bid. "As the successful proponents at the Hamilton Convention Centre we are observing the gaming discussion to determine how a potential casino may impact the hospitality and tourism landscape in Hamilton, and what opportunities may be available if council agrees with the benefits and jobs that casino entertainment offers," he said. Merulla says many members of council were "shocked" that the mayor took the steps he did when pressured by Mercanti. "I can say with a good deal of certainty that a lot of what the mayor says is not council's position," Merulla said, and added he thinks there are "absolutely" outside businesses vying for a casino in downtown Hamilton. "Having a casino licence is a licence to print money," Merulla said. "Obviously there is going to be a significant interest, particularly from those who have this type of expertise to lobby for this casino." But Mercanti says he thinks a casino could be beneficial for much of Hamilton. "The OLG is a great partner with many local companies in the restaurant and hospitality industry, especially downtown, as they purchase gift certificates, tickets to shows at Copps and Hamilton Place, and dinner experiences for their patrons at restaurants in the core," Mercanti said. "Many businesses would thrive through an enhanced presence of gaming entertainment in Hamilton." He says from a tourism and convention perspective, the added forms of entertainment visitors to the city could get from an "integrated entertainment destination with gaming facilities" could be a huge benefit for the city. "A casino could also be an accelerant, not just a catalyst, to further hotel, condo, cafe and retail development in Hamilton," Mercanti said. Merulla disagrees: "Is it the best thing for the city — or is it the best thing for those lobbying?" He added that downtown Hamilton is going through a "cultural renaissance" through developments on Locke Street, Ottawa Street and James Street right now — and he says a casino would only harm that. The city's medical officer of health issued a report on the health impacts of a casino that shows that higher concentrations of problem gambling occur in areas surrounding a casino. Dr. Elizabeth Richardson told city council that studies show proximity matters when it comes to a person's susceptibility to problem gambling, but reports of how close a casino needs to be to have an effect on people are mixed. "When you're considering where to locate [a casino] and thinking about the impacts on vulnerable populations, it's really quite a complex analysis," she said. But Merulla is steadfast, and says any groups or businesses pushing for a casino in the downtown core don't have the core's best interests at heart. "Not any groups that have a true investment in the core itself," he said. "I truly believe a downtown casino would be not too dissimilar to a crack dealer."